Lemonade is my drink of choice each and every summer. I don't like it overly sweet, but the perfect balance of sweet and tart is ideal. Lately, I've been experimenting with flavored lemonades. Of course the original is still dear to my heart, but how can you go wrong with cranberry or strawberry lemonade? You can't. If you really want to live on the edge, you can even pour yourself a refreshing glass of sparkling lemonade. 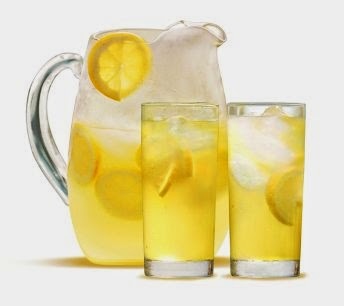 What is your favorite kind of lemonade? Do you like it very sweet or more tart? Strawberry Lemonade! Not too sweet but I guess more sweet than tart. I love frozen lemonade the best! Sonic has a lemon-berry slush that is delicious.